Eve Arden played Principal McGee in the two Grease movies. Imagine if Connie Brooks (from the Arden radio and TV series Our Miss Brooks) had been stood up and jilted by Mr. Boynton, her love unrequited, rejected. As a result she became jaded and somewhat humorless. You would get Principal McGee. Eve Arden was born Eunice Mary Quedens in 1908. She had a career that spanned from 1929 when when she first appeared in film, and went on to playing both in film and on radio. Her most famous character, of course, was as put-upon Miss Brooks, a teacher at a high school, where she was constantly in collision with the principal, Mr. Conklin (Gale Gordon for most of it's run) and was subjected to an unrequited love for Mr. Boynton (Jeff Chandler on radio and Robert Rockwell on the TV version). Her last appearance was on an episode of the TV series Falcon Crest. Arden passed away in 1990 at the age of 82. 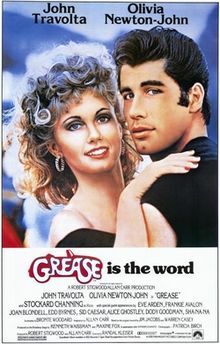 The opening of the movie features Danny Zukko (John Travolta) and Sandy (Olivia Newton-John) cavorting on the beach, where they have spent the entire summer. Sandy is from Australia and expresses regret that she has to return there and they will never see each other. "Is this the end?" she asks Danny. "No," he tells her, "It's only the beginning." Eve Arden makes her first appearance as Principal McGee, a somewhat humorless and put upon principal at Rydell High School, where she is not only flustered by the students but also has to put up with her ditzy Vice Principal, Blanche (Dody Goodman). She puts on a good face in spite of her disapproval of the things that occur around her. Sandy turns out to be a cousin of "Frenchy" (Didi Conn), and ends up staying in the States instead of going back to Australia for her senior year. Good news for Danny? Not so much. He still loves Sandy, but he is more concerned with his image, especially among his greaser pals, Kenickie (Jeff Conaway), Doody (Barry Pearl), Sonny (Michael Tucci) and Putzie (Kelly Ward). He is the leader of the T-Birds, a biker gang, and as such must be a role model to the social mores of the gang (which include not treating women as being an important part of the picture. Sandy tries to fit in with Frenchy's group, the Pink Ladies, who are the paramours of the T-Birds. Each of the Pink Ladies is dedicated to the code of honor that they only date T-Birds. Socially this is a concept that may be outdated (and maybe it wasn't even a concept in the 50's, but I wasn't born then, so I can't say). The Pink Ladies, besides Frenchy, include the leader, Rizzo (Stockard Channing), Jan (Jamie Donnelly) and Marty (Dinah Manoff). When Sandy shows up, and the girls discover her secret lover, Rizzo manages to introduce her to the Danny she knows. At some point prior to the events in the movie, Danny and Rizzo had been dating, but they broke up, and Rizzo still harbors some resentment towards Danny, so her intent is to cause him discomfort. Danny initially expresses happiness at seeing Sandy but immediately realizes he is not acting the way his fellow T-Birds expect and regresses into a blase attitude towards her, to which Sandy reacts with shock. This is a theme that runs through the entire movie as Danny tries several ways to be the kind of boy Sandy wants him to be, but also trying to retain his image as a T-Bird. This typically results in Sandy and Danny being together for a while, but Danny does something that does not set well with Sandy and they break up. 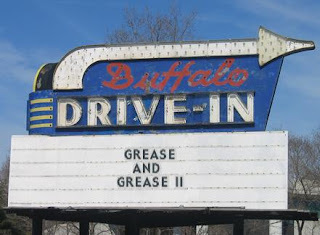 The best song from the movie, in my opinion, is "Greased Lightning". The song revolves around plans by the T-Birds to fix up a clunker that Kenickie bought and turn it into a bonafide street rod. Of course, their fantasy rod is not the one that eventually gets made, but it still is a rousing scene. The car that gets made later figures into the penultimate scene in which Danny ends up taking over in a race with the local hoodlum, Balmudo (Dennis C. Stewart), with the ownership of their respective cars in the deal of winning said race ("pinks" or pink slips). Eventually Sandy realizes that if she really loves Danny, and she can't change him, she has to become an ideal girl that he can appreciate. Which of course means she has to become the ultimate biker chick, complete with skin tight leather clothes and brazen flirty attitude. The songs in Grease were nearly all radio hits. "Grease" (the title song), "You're the One That I Want", "Summer Nights" and "Hopelessly Devoted to You" were all top ten hits. Additionally "Sandy" was a top ten hit in the UK. My favorite, mentioned above ("Greased Lightning") only made it to #47 in the US, but made it to #11 in the UK. The only real clunker, again in my opinion, is a Stockard Channing solo, "There are Worse Things That I Could Do", a song she sings as she laments that she thinks she is pregnant and has been rejected by Kenickie, the guy who is responsible. Four years after the first movie, and two years after a re-release of it, some executives noticed how popular it still was. Dollar signs flashed before their eyes. "Yes! A sequel! It'll make millions!" The songs alter between halfway decent and laughable. Much of the "laughable" designation, for me, stems from the way they are staged. Pamela Birch, who directed the movie, was the choreographer in the original, and with one exception, that movie had much better dance sequences during the songs. Much of the dancing in Grease 2 seems contrived and out of place. 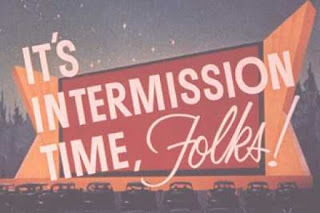 Yes, I know it's a musical and the dancing is a part of the show, but even I, who am probably one of the least likely candidates for the Musical Appreciation Society, can see that this movie just doesn't have the cachet that other musicals have when it comes to dancing. 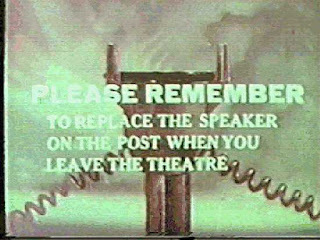 Point #1: The opening sequence. The whole school arrives for he first day, with the song "Back to School Again". I couldn't help cracking up during this sequence. It serves to introduce the major players during the song, Stephanie (Michelle Pfeiffer), Michael (Maxwell Caufield) and Johnny (Adrian Zmed), but otherwise, I could have done without this sequence. Point #2: The other laughable sequence is the song "Score Tonight". At a bowling alley the T-Birds and the Pink Ladies are in their weekly rivalry of bowling and break into the song. Of course, the first part of "we're gonna score tonight" ostensibly is about bowling scores, but just in case you miss the double entendre there, the movie makes sure you CAN"T miss is because every time the line "we're gonna score tonight" comes up in the song the camera focuses on a male-female pair looking at each other lovingly... I don't include the song "Cool Rider" because only the final scene, with Stephanie skipping across the school lawn during the fade out, is really laughable. The movie sets up with Michael, who is yet another cousin of Frenchy's, this time from England. An eager and somewhat naive person (in other words a male version of Newton-John's "Sandy"), he arrives for the 1961 school year at Rydell. At the same time, a bit of conflict is going on between Stephanie and Johnny. It seems they used to be a couple, but something happened over the summer and now they are no longer today's hot topic. Johnny still has the hots for Stephanie, but her ardor has grown cold. A good portion of the repartee between the two indicates that Johnny is reluctant to call it quits, but his male ego refuses to let him admit he had any fault in the decline of the relationship. But that doesn't stop him from taking up with another of the Pink Ladies, Paulette (Lorna Luft). In the scene referenced above, the T-Birds and the Pink Ladies are at their weekly bowling date. A conflict erupts between Johnny and Stephanie and she ends up kissing Michael who has just walked into the bowling alley. Although Stephanie had done this just to piss off Johnny, Michael, who was already infatuated with Stephanie thinks it was because she liked him and becomes even more enamored of her. Unfortunately, as Frenchy warns him, he is not a T-Bird so Stephanie is off limits. Michael appears on the scene after becoming this whiz bang cyclist, decked out with a helmet to disguise his identity and shows up the rival cyclist gang in town, led by Balmudo (Dennis C. Stewart). Stephanie becomes infatuated with the mystery cyclist, whose identity remains unknown to her for most of the rest of the movie. Which leads, of course, to the conflicting relationship that Michael has with Stephanie. She still considers him a bookish dweeb, not knowing that right next to her is her incognito hero. This movie is watchable, although even the stars expressed some regret for having been involved in it. Truly its not the classic that the original was, however, and it probably would have made a better movie if it was just a straightforward romantic comedy/drama rather than a musical. That's it for today's entry folks. Drive home safely. Eve Arden makes everything better, but even her presence has thus far not be able to induce me to watch the movie version of a play I can't stand. Nonetheless, I enjoyed reading about both these movies (there were two?) in your article. I think you have spared me. You've seen it as a stage play? I envy you. Thanks for reading. I had no idea Arden was in these films prior to announcing this Blogathon. I've only seen one or two scenes in Grease but will have to watch it for Arden. Thanks for writing about these two films for the Blogathon. I only recommend the sequel if your a completist like myself. Otherwise, the first one is enough. Thanks for reading. Great double review! I think Eve - and another veteran actress, Joan Blondell, deserved more screen time in Grease. 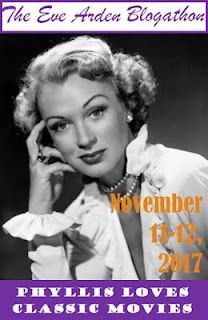 I'm certainly learning lot about Eve Arden! Dody Good man would be another I'd add to the list that needed more screen time. She was a hoot. Thanks for reading. Eve Arden rocks in everything, but I do love her as the principal, especially in the first film, and of course, as Joan Crawford’s best friend Ida in Mildred Pierce. Awesome double feature as usual, Quiggy!! What? You don't want to sing along with "Score Tonight"? :-D Thanks for reading, Chris. Have a great day.